I'm trying to end my childhood without success. This game is driving me crazy, but I'm going to finish it. 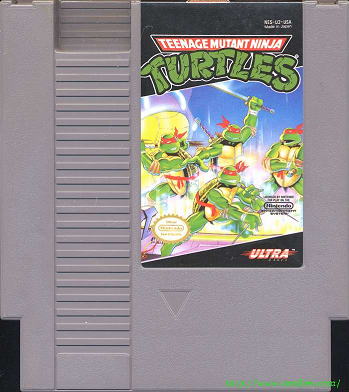 The name of the challenge: Teenage Mutant Ninja Turtles - NES, also avaliable in Playchoice-10. I will beat this game. This is personal! The fact i managed to finish this game at the age of 10 somehow frightens me . At the time i had a new game maybe twice a year, so finishing it was mandatory, now i wouldn't have the patience . Edit: it seems it was a bug in the US release that was fixed in the European one. I'm from France, so that'd explain why I didn't encounter this bug. 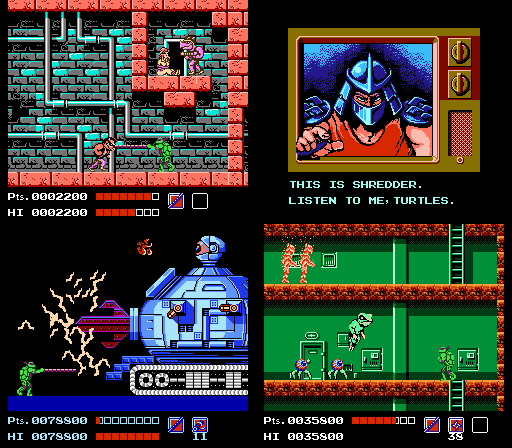 I have a TMNT for DOS, but I didn't know it came in different versions. On the airport level, you have to find area 18, but I was unable to locate it. Never did get further than that.